Shaving is hard. Even after years of practice, shaving can lead to irritated skin and inflammations typically referred to as a razor burn. Razor burn can happen for a number of reasons like shaving against the direction of hair growth; shaving without using lubricants like soap or shaving creams; using old, worn out or clogged razors; shaving too fast; going over an area too many times or using improper shaving products. There are a number of products on the market that can reduce razor burn and razor bumps, however, most of them contain alcohol, which can dry out the skin and strip it of its moisture. The Mirah Belle After- Shave Balm is the best organic solution that bids adieu to razor burn and razor bumps. 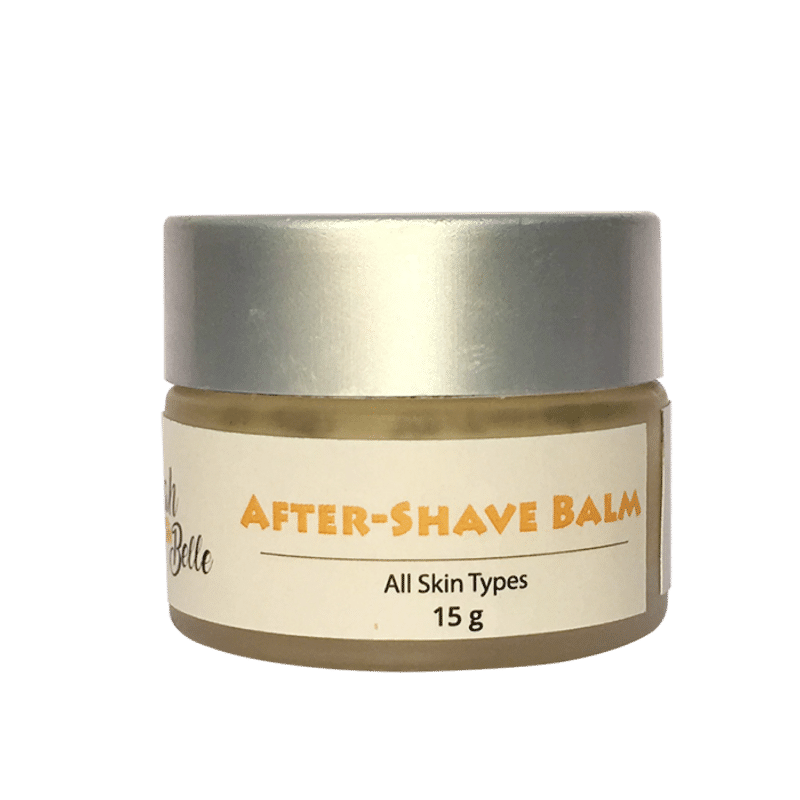 This After-shave Balm is for all skin types that helps nourish your skin instead of drying it out and it has a wonderful amber fragrance that smells exotic. Coconut Oil: Coconut oil has antiseptic properties and can help to hydrate the skin and deeply moisturize it, making the skin soft and free of bumps. Jojoba Oil: Jojoba oil can help to soothe and condition the skin and leave it soft and smooth without making it too greasy since it is easily absorbed into the hair follicles due to its sebum-like structure. Rose Hip Oil: With hydrating and soothing properties, rosehip oil can help to reduce irritation and nourish the skin. Shea Butter: Shea butter can help to soften and soothe the skin due to its moisturizing and healing properties. It helps to keep the skin smooth and silky and free of razor bumps. Beeswax: Beeswax helps to create a barrier between the skin on your face and the atmosphere, enabling the moisturizers to actually penetrate the skin and take effect, making it a crucial component in making this balm the ultimate moisturizing and soothing aftershave balms you can go for. Bergamot Essential Oil: It has anti-microbial and antiseptic properties, which gives the balm the same benefits as that of alcohol, minus the stripping of moisture or burning sensation.